It seems like ages ago that Microsoft began rolling out the overhauled version of Outlook.com across the webmail service's user base – indeed, it's been almost half a year – and many folks still haven't seen any sign of the upgrade. Which has led to some sarcastic comments from some to the effect that they won't get the new interface until 2017 – prompting a response from the official Outlook account which assured one doubting Twitter user that work on Outlook.com would be completed very soon. Neowin spotted the tweet from Redmond which said: "Everyone will be migrated over [to the new Outlook.com] by the end of summer at the latest." In other words, the remainder of the user base should see the new version of the webmail service within the next seven weeks. That includes us, as we're still on the old Outlook.com as of the time of writing. 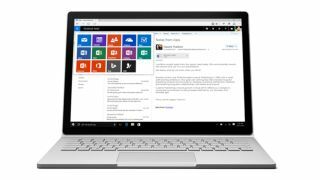 The overhauled Outlook.com boasts some major changes to the interface, and essentially brings the service over to the Office 365 platform, introducing a number of new features drawn from the productivity suite. These include, for example, automatically adding travel plans to your calendar (if you get an email with a flight confirmation), and a smarter address book that can do things such as suggesting people you may have forgotten to CC in an email. Some of the new interface elements may take some time to get used to, of course. As ever with any major overhaul, there's going to be a period of readjustment.